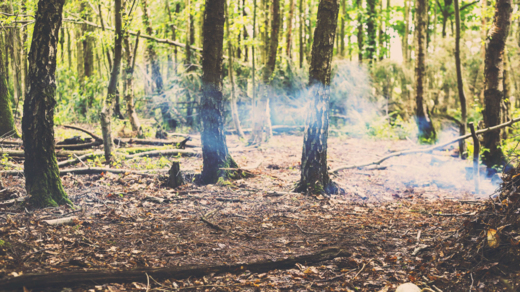 When you hear bushcraft your mind's eye sees fire. Fire is one of those age old human fascinations that makes fire building a skill that most of us wouldn't mind having under our hats. And, that's not even taking in to account the brilliant practicality in knowing how to keep warm, purify water and cook your food when adventuring in the GREAT outdoors. 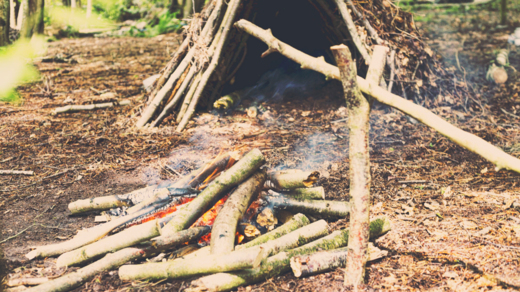 First things first you'll need to build a teepee shaped construction, using your kindling first and progressively larger pieces of wood as the outer part of the structure. It is important that you leave room to be able to place your tinder at the base of and in the centre of your teepee structure. It can be helpful to literally stick some of the kindling sticks in the ground to form strong legs to the structure, with the other pieces of kindling and wood resting against these more sturdy pieces. Ignite your tinder material, having shaped it into a nest like shape and using either your firesteel or matches. Shape the nest around your spark if using the firesteel (or flame if using matches) and gently blow into the tinder nest, allowing the oxygen to fan the spark in to flame. From here, place the ignited tinder into the centre of your earlier constructed teepee. Getting low to the ground, continue to gently blow into the centre of the structure until you can see that the kindling has caught light. And that Fore Adventurers is a simple guide to get your fire started, and your woodland adventures off to a primal start. Consider fire-lighting, after giving the above how-to a couple of go's, a skill under your adventure hat.